Does anyone remember the movie 'What Dreams May Come'? During the film Robin Williams character searches the afterlife for his wife through some very surreal, color saturated gardens. I'm beginning to think it may have been filmed here. That, or we've stumbled upon one of Claude Monet's colorful canvases, only bigger, a whole lot bigger! This extraordinarily beautiful and unique place was rightfully selected as a World Heritage Site. 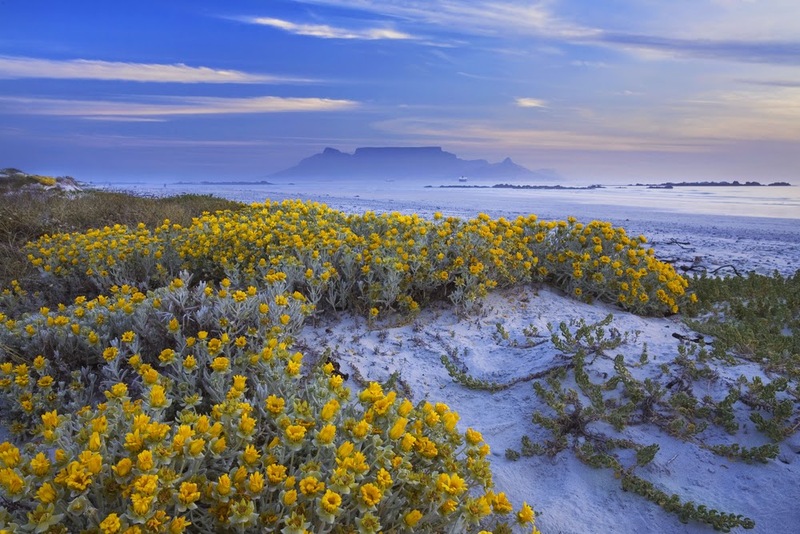 From the unique and iconic Table Mountain to the truly dramatic coastlines, beautiful mountain passes and valleys further East, to the semi-arid regions to the North, each area is home to a diverse group of rare plants. You may find you'll pinch yourself while here because this place is truly a dream come true. There are nearly a thousand nationally and international recognized World Heritage Sites across the globe. Ideally, protected to preserve and conserve their natural beauty or cultural and historical significance. Eight of these sites are in South Africa and were declared World Heritage Sites by the United Nations Educational, Scientific and Cultural Organization (UNESCO). 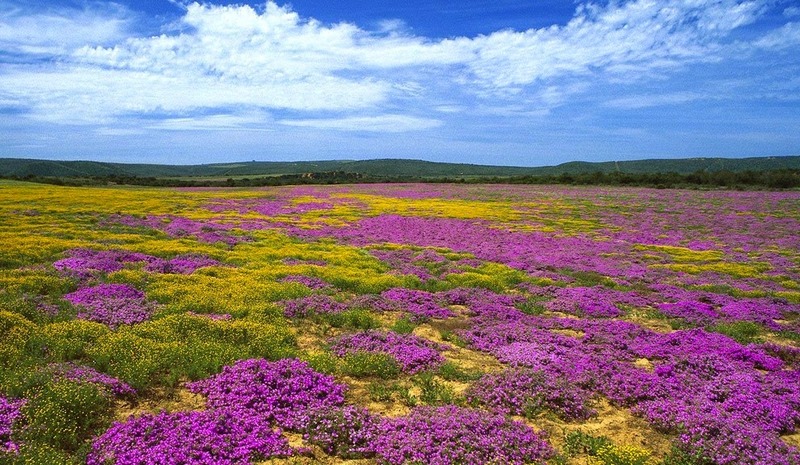 The Cape Floral Region, the fynbos vegetation region (indigenous flowering scrubland), of Western and Eastern Cape Province, South Africa is one of the richest and most diverse floral areas in the world. Recognized for its natural beauty and scientific importance, 70% of its floral species occur nowhere else on the planet. Table Mountain National Park, which is part of this remarkable wilderness area, has more plant species in its 22,000 hectares than Britain or New Zealand. In total, the site covers 553,000 hectares of land that are particularly rich in plant species, representing nearly 20% of Africa's flora. 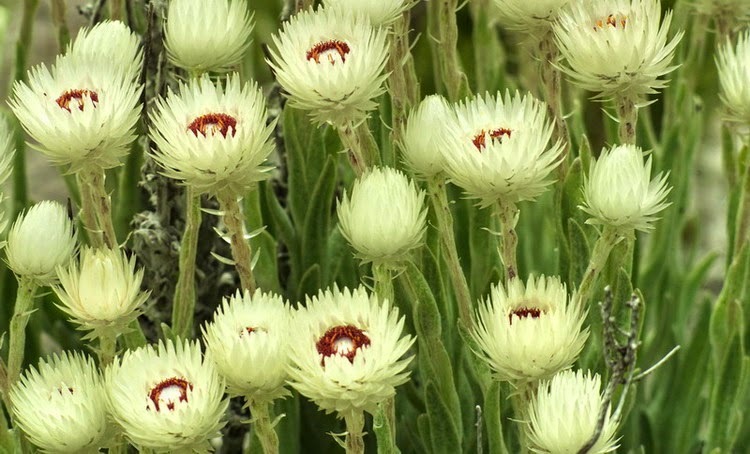 The unique flora of the region is of particular value to science as there is a huge diversity and density of Fynbos species within a relatively small area. 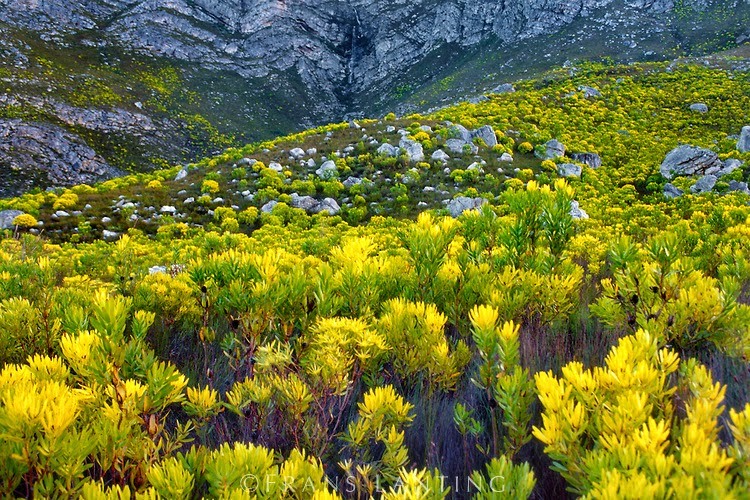 The species density in the Cape Floral Region is also amongst the highest in the world and it has been identified as one of the world's 18 biodiversity hot spots. 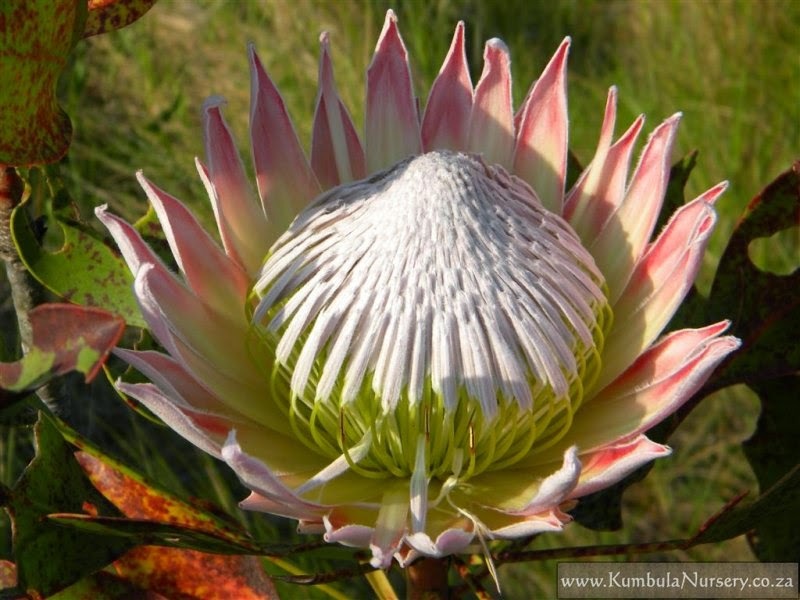 If you have limited time or just can't bare all that hiking you can see nearly every indigenous plant in South Africa at Kirstenbosch. 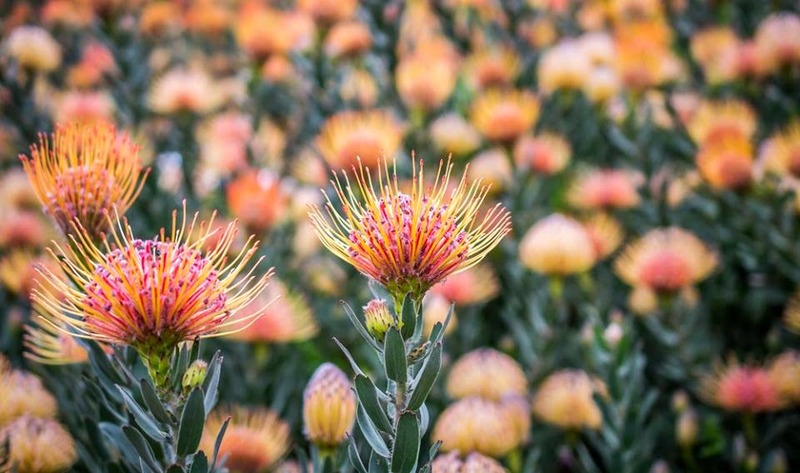 Against the eastern slopes of Cape Town’s Table Mountain sits this amazing botanical garden. Established in 1913, it was the first botanic garden in the world to be devoted to a country’s indigenous flora. 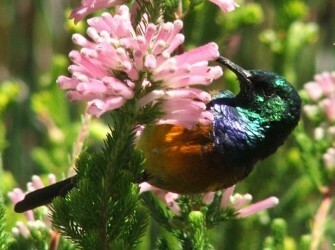 Set aside to promote, conserve and display the extraordinarily rich and diverse flora of southern Africa. It is time well spent.